Wearable technology is getting huge, and it is for good reasons. Convenience is a huge factor – it intertwines tech convenience into our daily lives. Small, portable devices are designed with the purpose of enhancing and extending the functionality of clothing, accessories, or even ourselves are perfect for us to learn more about us. From the basic apps to devices that enable you to monitor your heart rate, track your food consumption details, to the more advanced gadgets that monitor your sweat, mood, or even your surrounding air or noise, wearables techs are making it easy for the everyday person to measure their success (or failure) of self-improvement efforts. 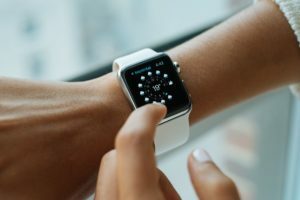 If mentioning wearable tech only links you to smart watches, then you definitely need to read on because wearable tech is so much more than that. Tracking user’s physical activities and some vital signs are not something new in the wearable sensors market – but sweat sensors are. How would you like it if you can know (in real time) if you have problems with dehydration, muscle cramps, sugar levels and even blood flow problems with just your sweat? Sweat sensors on certain wristbands and headbands can sync data wirelessly immediately to your smartphones. Is this leading us to a day where we are our own health and fitness guru? We would sure like to think so! Another wearable getting an upgrade is the denim jacket. Levi’s and Google are launching a ‘smart’ jacket later this year. With connection via Bluetooth technology and conductive fabric on the jacket’s wrist, users can use their wrist as a control panel for their smartphones! How’s that for being discreet. Other than being able to connect with your ‘wrist’ (on your denim jacket), you may even get to have bionic hearing now. Imagine being to switch off a baby’s crying on a crowded plane or turn down the bass at a rock concert (while still be able to hear the band perform) – now you can with ‘smart’ earbuds. Earbuds aren’t just for making calls or listening to podcasts and music anymore, they could also be your noise-cancelling devices. Best part of the noise cancelling properties? You can even decide what noise you want gone, and what sounds you want boosted! The revolution of wearable tech is just starting; what are you looking forward to the most?